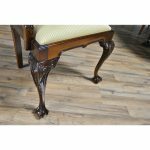 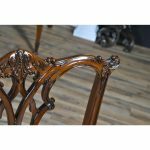 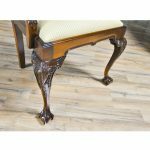 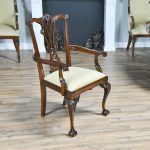 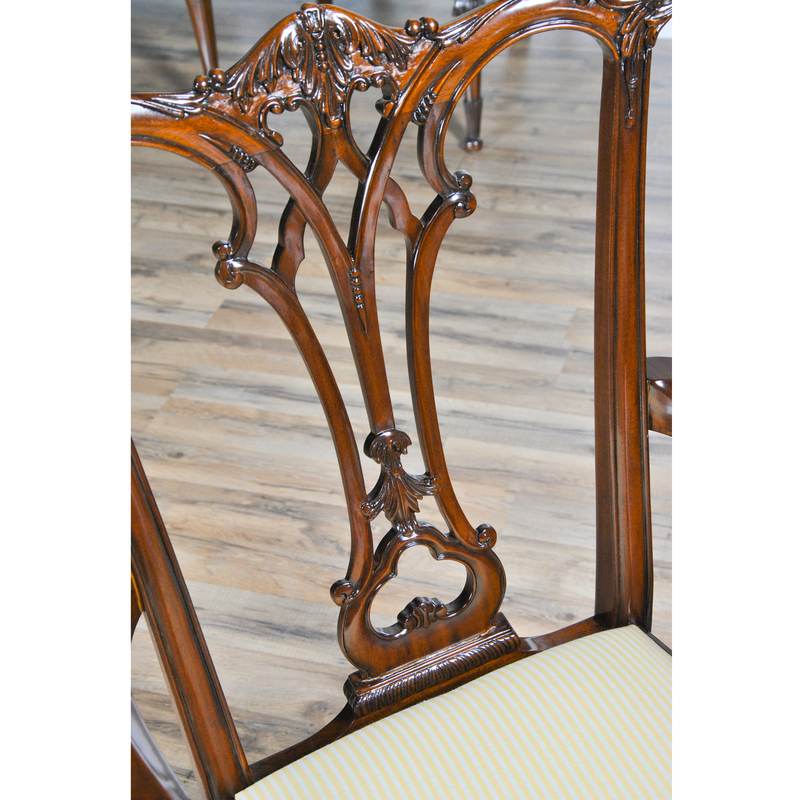 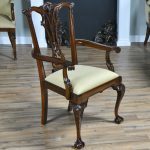 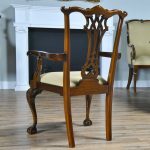 A Gothic Mahogany Chippendale Arm Chair from Niagara Furniture with a serpentine top crest rail with scrolled acanthus foliage above a similarly carved and pierced back splat. 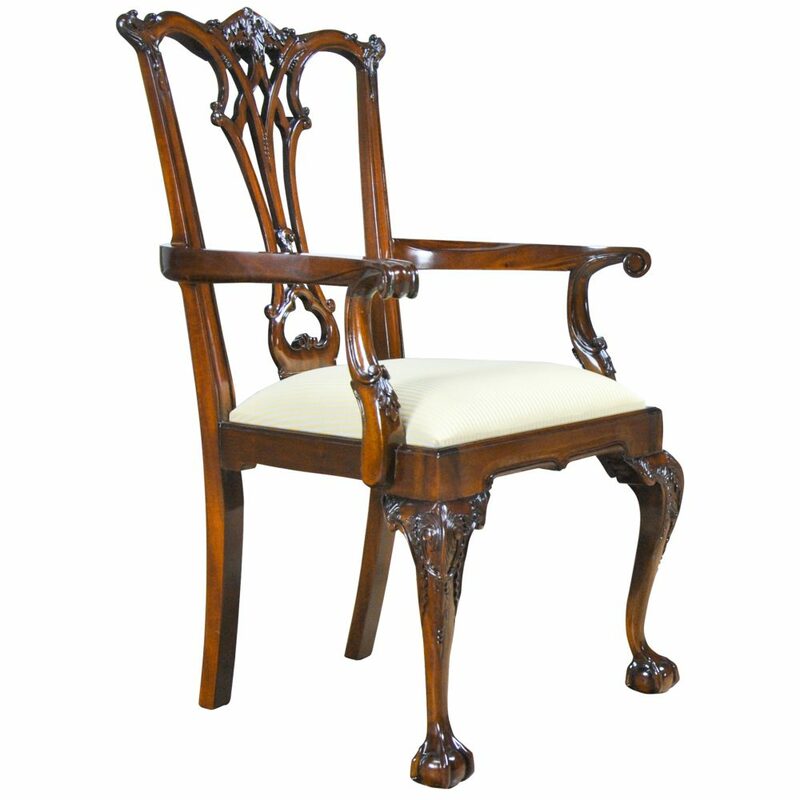 Carved and scrolled arms, resting on carved arm supports fastened to the shaped and carved seat frame. 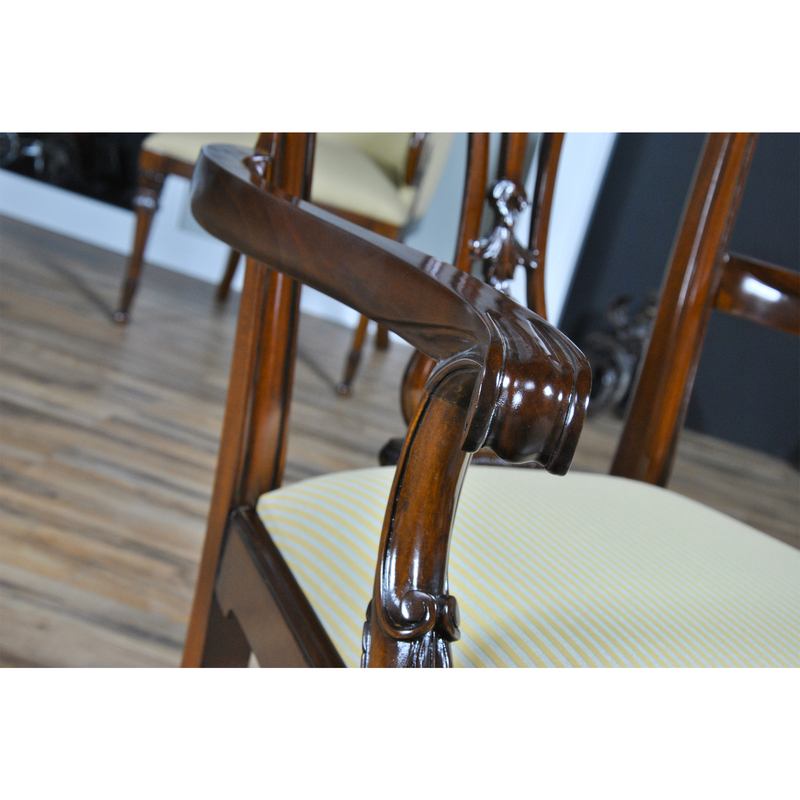 All resting on cabriole legs ending in ball and claw feet. 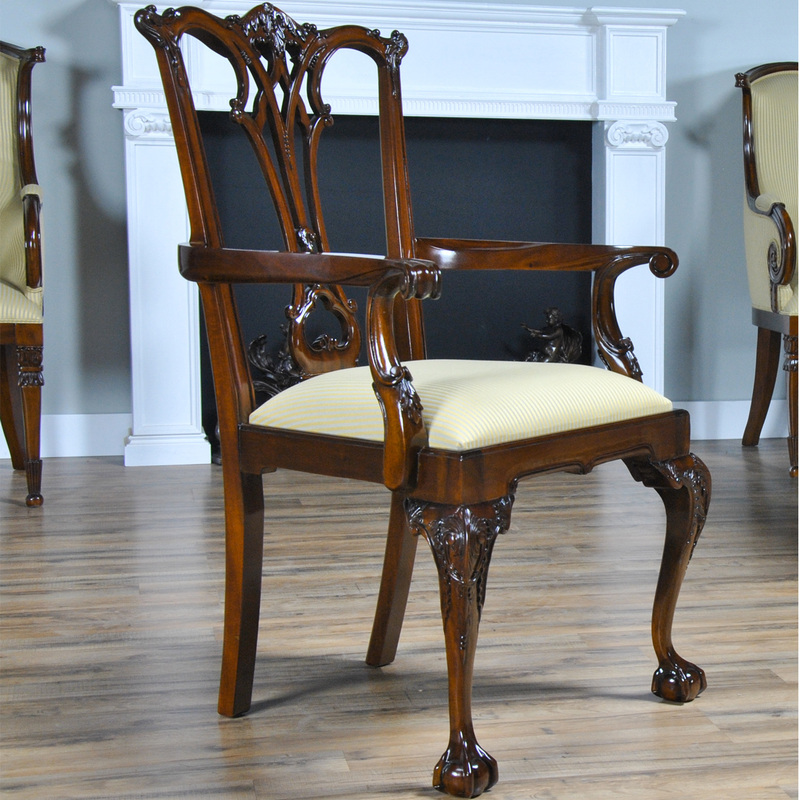 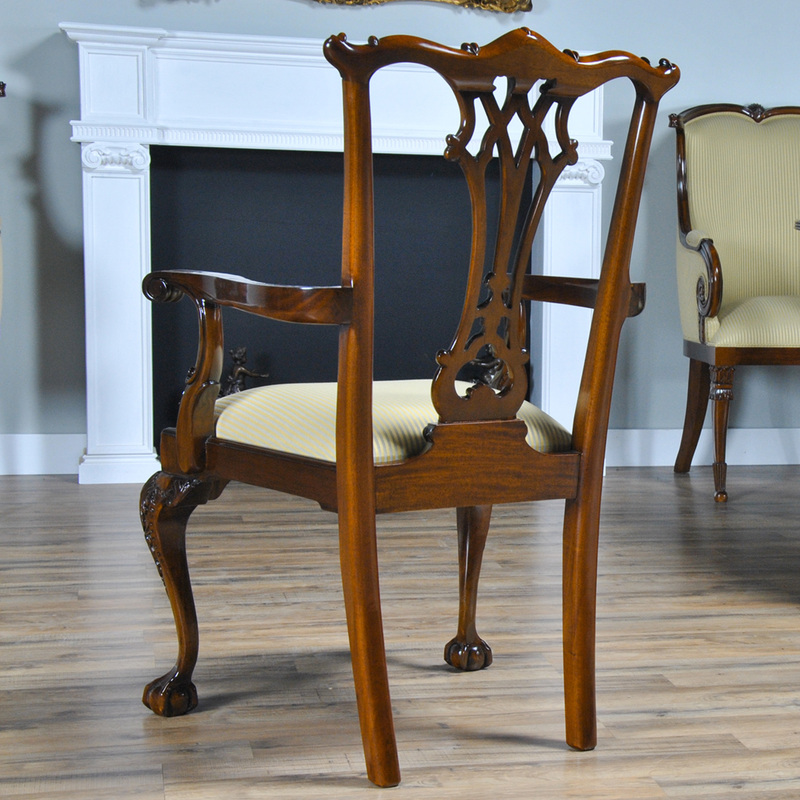 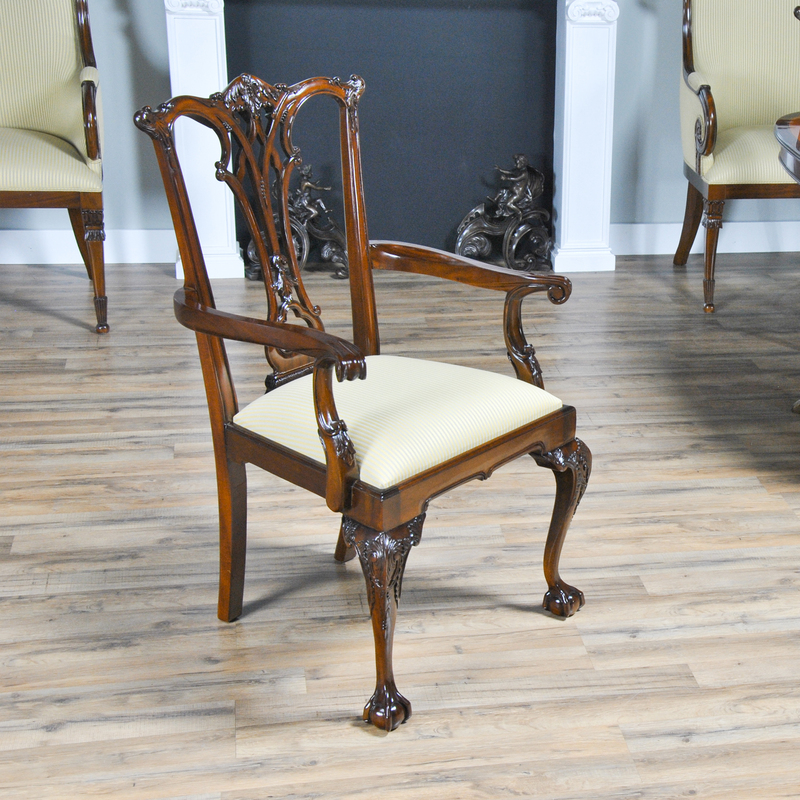 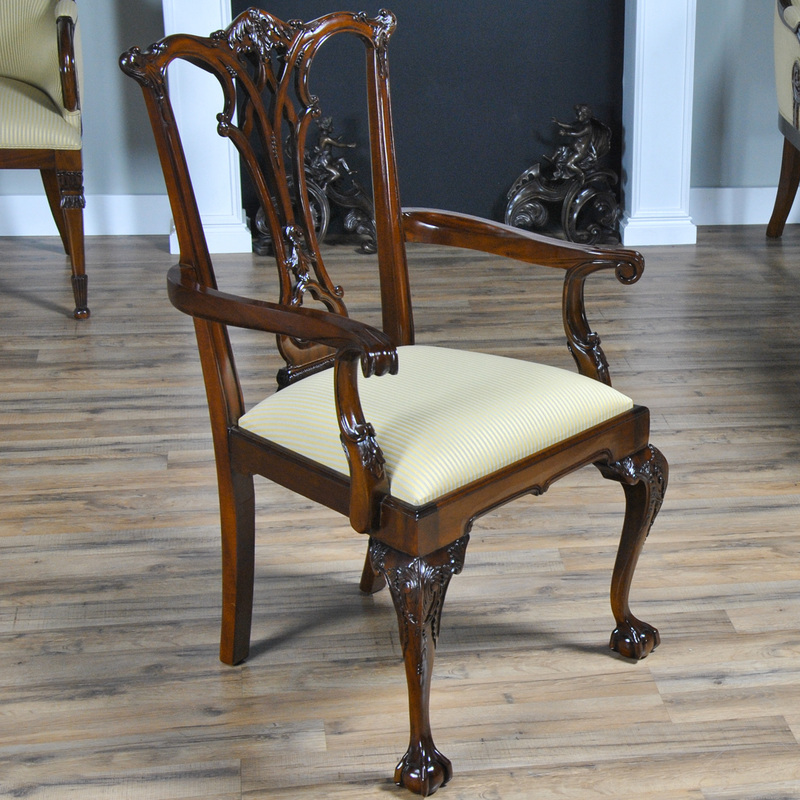 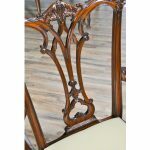 Beautifully finished in a rich golden brown stain the Gothic Mahogany Chippendale Arm Chairs have been manufactured by hand from plantation grown mahogany using traditional building techniques that date back centuries. 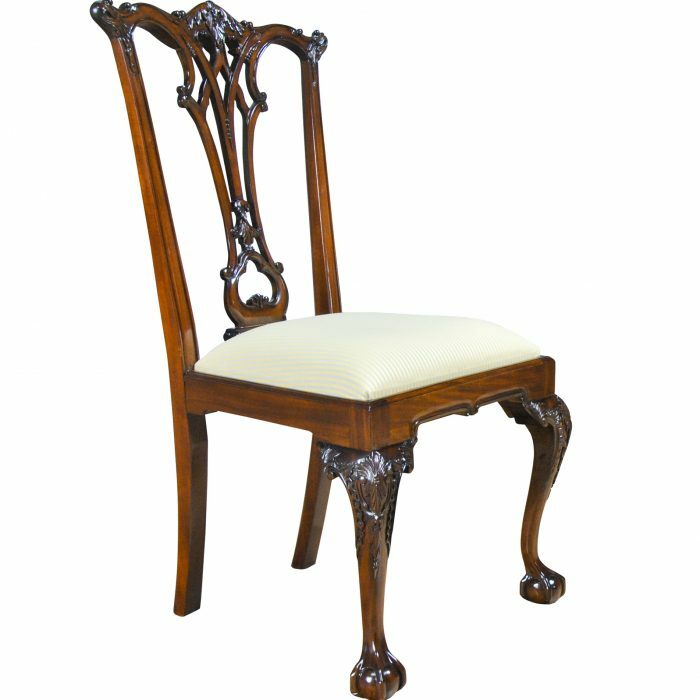 Neutrally upholstered in our most popular fabric the seats can be easily removed for an upholstery change whenever you find the fabric of your dreams.